Washington, DC– The National Park Service (NPS) has proposed rule changes that, if enacted, would limit the duration of protests at parks in the National Capitol Region. The rule changes include time limits which could abolish protests such as the ongoing White House Peace Vigil and severely restrict the duration of protests resembling the two Washington, DC Occupy encampments in 2011-2012. The rule changes also include charging protest organizers permit fees for equipment set-up, the costs for police barricade set-up, park ranger wages and overtime, and the costs for damage to grass and foliage. NPS has opened a comments page on its website for the rule change proposal. The public has until midnight on Monday, October 15, to comment on the proposal. Proponents of free speech are alarmed by the proposed rule change. The ACLU objects to the lack of distinction between “demonstrations” and “special events,” the imposition of fees to demonstrate, limits on the number of people who may demonstrate without a permit and the “stealth proposal” to close 80% of the White House sidewalk. Kevin Zeese, co-founder of Popular Resistance, said the rule change represents a “disturbing” threat to First Amendment Rights of assembly and free speech. “This curtailment of our First Amendment rights by prohibiting long-term vigils is a serious abridgement of our rights, as it significantly undermines the power of protest to influence government,” Zeese said in an email. 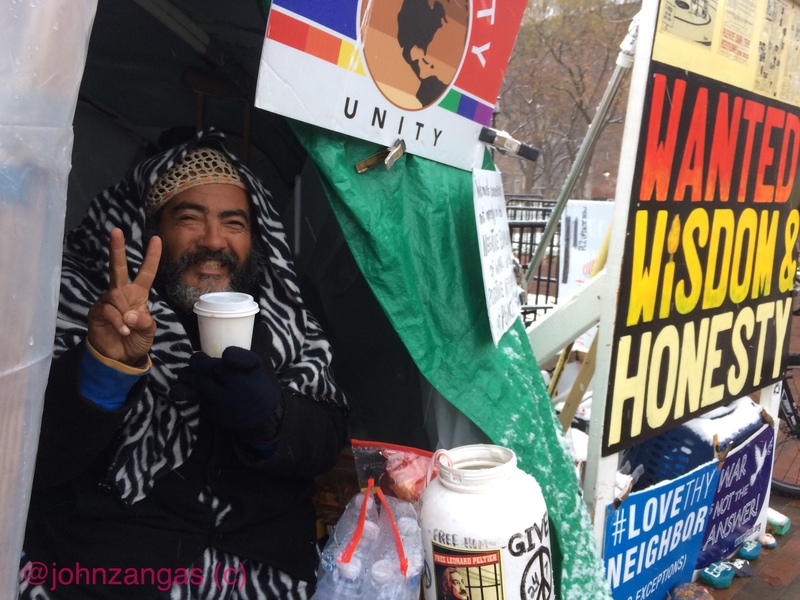 Zeese was an organizer of Occupy at Freedom Plaza in 2011, one of the two Occupy movement encampments maintained in Washington, DC from October, 2011 through February, 2012. The NPS points to those camps in the proposal as a basis for enacting the rule changes. In an affidavit submitted to the Park Service, Zeese submits evidence to support the argument that since the 2008 financial collapse, protest has been escalating in the U.S., and demonstrations have greatly increased in number since the election of President Trump. Although the ACLU and Popular Resistance are both opposed to the proposed rule change as an attack on free speech, they part ways on one issue: time limits on the duration of protests. Art Spitzer, writing on behalf of the DC ACLU, supports the NPS proposal to establish a maximum period of 30 days for all permits, with the possibility of renewal. The ACLU supports this change, Spitzer says, because it will allow for greater diversity in individuals and organizations. Current rules allow for a few groups to “monopolize a prime location” and gives organizations with greater resources and ability to plan in advance a greater advantage. Zeese is highly critical of the ACLU’s position. “Spitzer shows his ignorance and complete lack of knowledge about what it takes to organize First Amendment activities with his support of provisional reserved status, “ Zeese says in his affidavit. He also points out that government officials are more likely to hear and act on public redress of grievances if there is a possibility the public expression of those grievances are indefinite. By imposing time limits under this proposal, officials can in effect ignore demonstrators until they are forced to go away under the rule change. 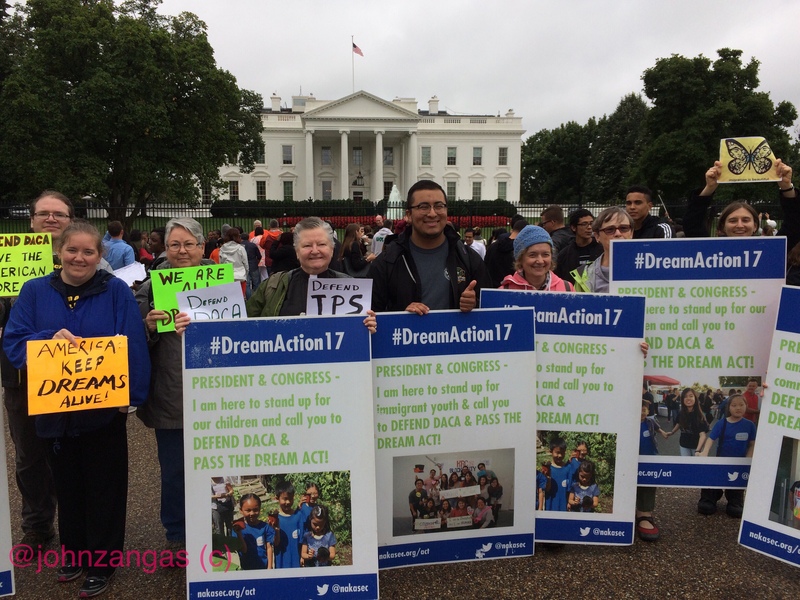 The Peace Vigil at the White House would almost certainly be forced to end its 37-year presence if this rule change goes into effect. The vigil has been a permanent presence there since 1981 and has been unofficially visited by members of past administrations who have dropped by to say hello or leave Thanksgiving meal donations to Peace Vigil activists. 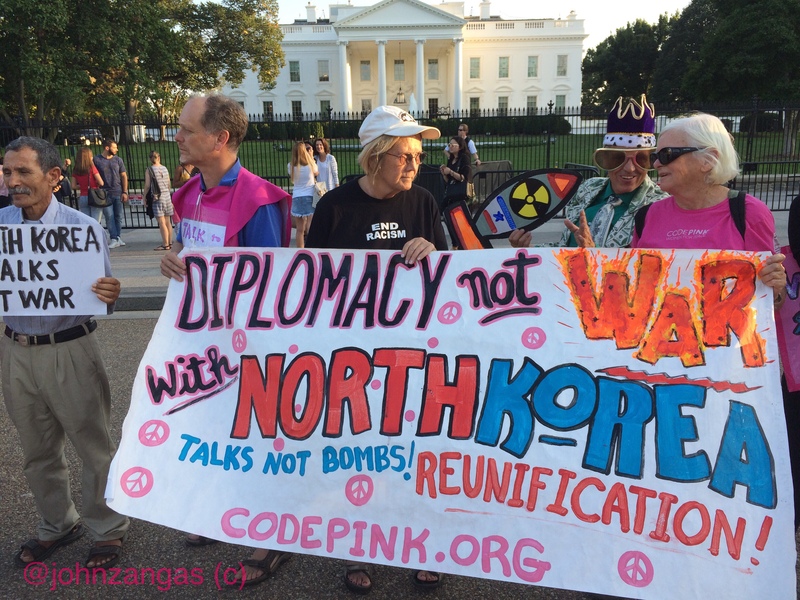 The Peace Vigil began a round-the-clock protest on June 6, 1981, when William Thomas started an anti-nuclear weapons sit-in next to the wrought iron fence outside the White House on Pennsylvania Avenue. 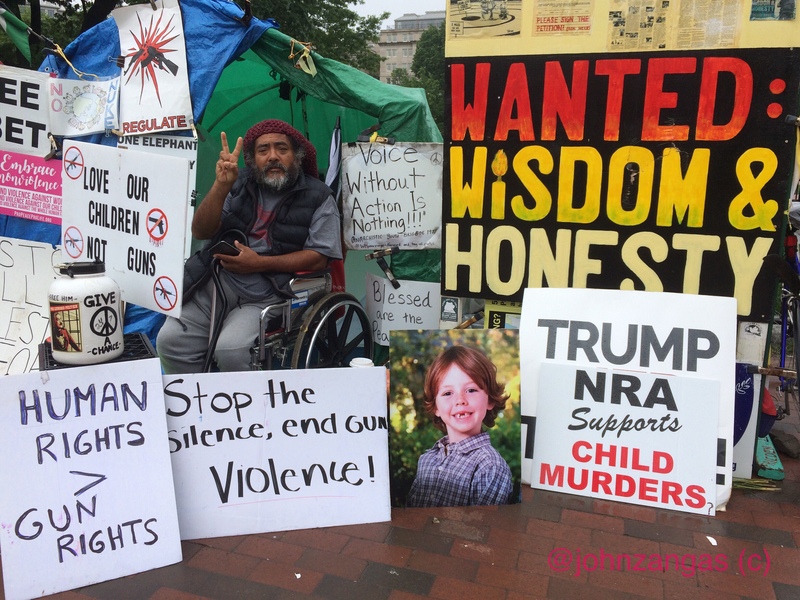 Other activists joined him at his protest near the North Portico of the White House and later supported him at night by taking his place during night shifts. The protesters became a thorn in the side of then President Ronald Reagan and an embarrassment to the Administration as Strategic Arms Limitations Talks talks stalled. The Peace Vigil is largely accepted as having raised awareness of nuclear weapons risks and helped propel protests against the arms race into the mainstream. NPS Police arrested Thomas dozens of times over the years he stayed on the sidewalk and charged him with misdemeanor violations such as failure to obey police orders and blocking the sidewalk. He sued the NPS in DC court and after years of litigation, the court ruled to grant him and the Peace Vigil a permanent permit to remain outside the White House. The catch was that activists were required to staff the vigil at all times or the permit would automatically expire. NPS never expected the vigil to last this long. But the vigil has persevered and outlasted six presidents, dozens of attacks and uncounted storms. Hundreds of activists have staffed the Peace Vigil tent, sitting and keeping watch on the West Wing over the years. After Thomas died in 2009, Concepcion Piccotto took over the responsibly for the Peace Vigil. She managed it during the day while other peace activists stood watch at night. She died in January 2015 and now Philipos Melaka-Bello manages the Vigil. He believes that Trump’s travels to North Korea and China and his visits with Russia President Vladimir Putin have given him a dangerous taste for power. “He sees how those leaders are and how their people bow down to them and the authority they have, and he wants that for himself,” Melaku-Bello said. To comment on the NPS proposed changes of rights to assembly click HERE.